We are featuring the most adorable free kids printables from the Little Bunny Series. Kids love learning to count, and it’s even more fun when all their favorite forest friends are involved! We love these learning pages! 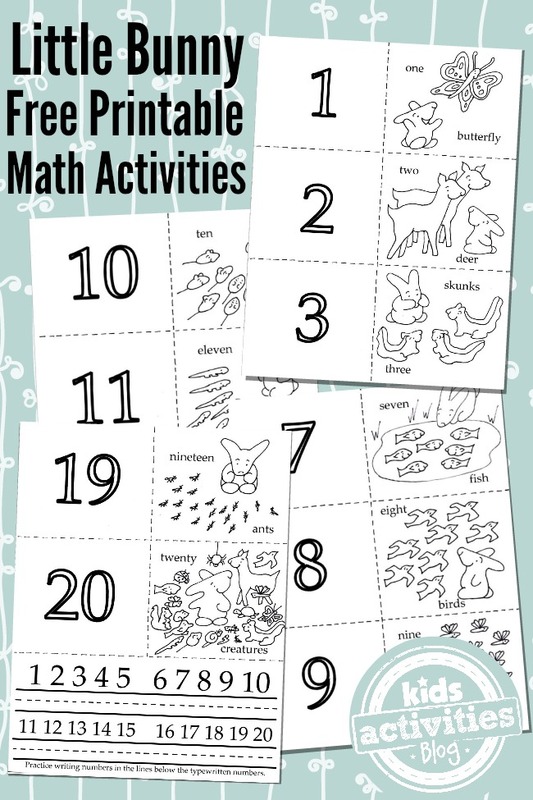 The thing we love about this printable is that’s it’s actually 3 activities in 1! You can make coloring sheets, a matching game and even a little book. Color it in, cut it out and glue it back together and make all three. It’s perfect for teaching preschoolers to count! If your child uses these pages, please stop by our FB wall and post a picture of his/her creation! We adore to see what they make…each and every one is so different. Oh goodness! I don’t even know where to start! We have so many fun coloring pages for kids. If you like these, you might enjoy our woodland animal coloring pages, weather coloring pages, or my favorite spring coloring pages which are seriously works of art!